Speed Control Resistor offered by us has high durable standard and made available at the industry leading prices. This offered range is user friendly and requires low maintenance cost. Additionally, Neutral Grounding Resistors, Earthing Resistors and Buffer Resistor are incorporated within our range. Moreover, our resistors are checked by our team of quality controllers with utmost precision and sincerity following organization set quality parameters. 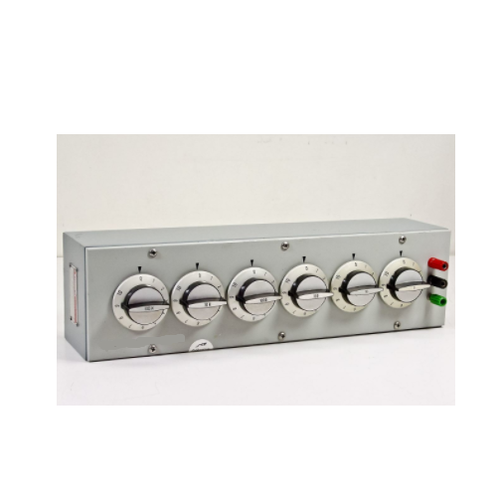 We are counted among the leading manufacturers and wholesalers of an exclusive range of Speed Control Resistor. This range manufactured by our team has been able to meet the expectations of our clients and followed demands for our range is very high. Addition to that, our range is quality approved and has high efficiency as well.